Criminal Minds: Beyond Borders looks at the specialized International Division of the FBI tasked with solving crimes and coming to the rescue of Americans who find themselves in danger while abroad. Starring Gary Sinise as Unit Chief Jack Garrett a seasoned 20-year veteran of the Bureau, his team includes Clara Seger a smart, well-traveled and multi-lingual cultural anthropologist played by Alana De La Garza. 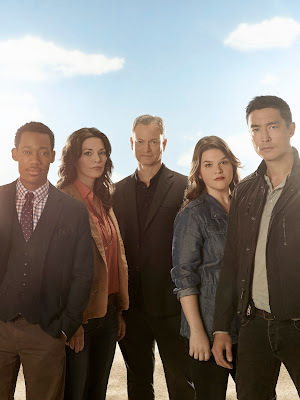 Heart throb Daniel Henney is Matthew Simmons, a former military hero while Tyler James Williams plays the unit’s compassionate, brilliant tech analyst, Russ “Monty” Montgomery. Annie Funke rounds out the group as Mae Jarvis, the team’s fearless and fun medical examiner.